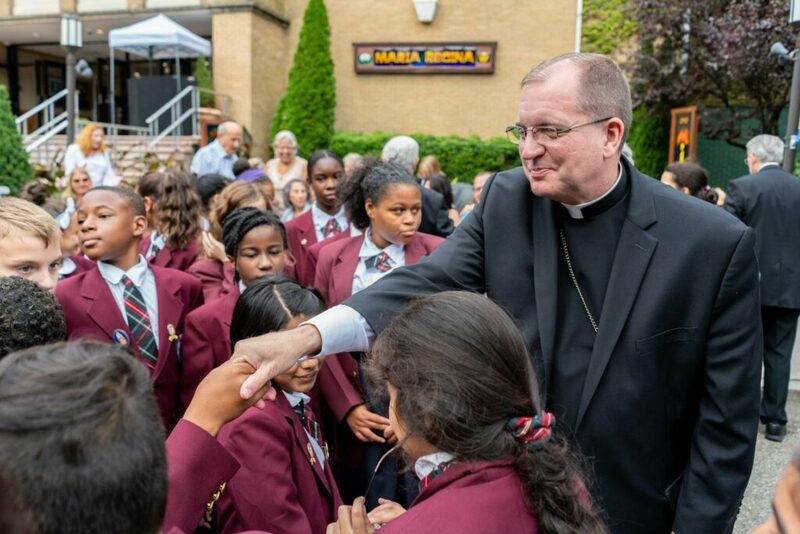 On the morning of Friday, September 14, Kellenberg Memorial High School welcomed Bishop John O. Barres, bishop of the Diocese of Rockville Centre, at the school's annual celebration of the feast of the Triumph of the Cross. Bishop Barres preached from the Gospel of John on the saving mission of our Lord, Jesus Christ, through the power of His Holy Cross. 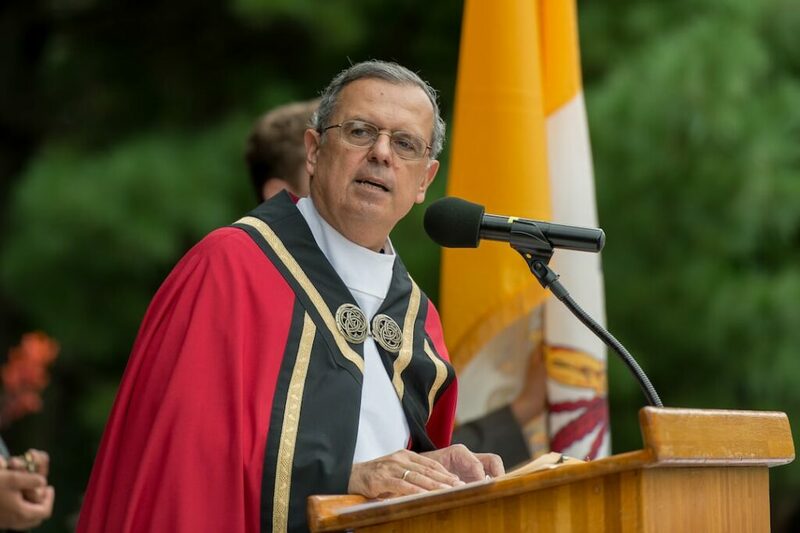 The bishop reminded those gathered of the role of the Cross in salvation and how, “the light of Christ’s mercy streams from his wounds and [so] we celebrate the triumph of the Holy Cross." Article by Madison Callinan '18: Even though this is my seventh year attending the Triumph of the Cross Prayer Service, the experience never gets old.